“Here’s to all that’s still to discover and everything we won’t ever get the chance to know”. 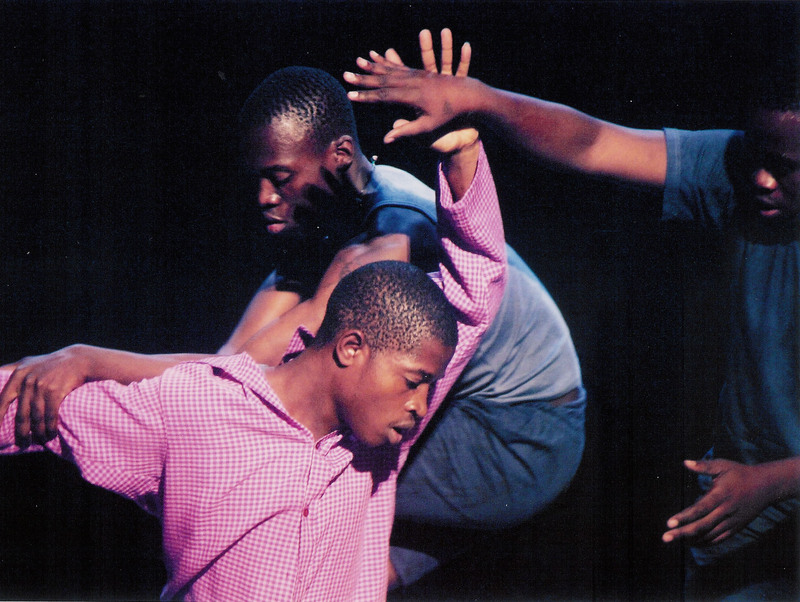 The piece Há Mais (There’s more) was created in 2002 by Thomas Hauert with 5 dancers from Maputo as a part of the project “Alma Txina”. “Alma Txina” is an initiative of Danças na Cidade, part of the long-term exchange and training programme ‘Dançar o que é Nosso’ initiated in 1998. Hà Mais (There’s more) is the result of an encounter between traditional Mozambican dance and contemporary dance from an occidental context. Extraordinarly virtuosic, the dancers with whom Thomas Hauert worked are masters of numerous local traditional dances, which most often consist of the incessant repetition of a single choreographic motif. Thomas and his five performers selected twelve traditional dances from which they isolated the basic motif. Each of the dancers combined these different loops in an original sequence, a choreographic phrase that is seen transforming throughout the performance by a play on temporality, rhythm, spatial relationships, and movement qualities. Leaving significant space for structured improvisation as well as a complex approach to the space, Hà Mais juxtaposes African dance motifs with short musical pieces by Igor Stravinsky.